Darwen Rooftop Car Park is now the home to chargers for electric and hybrid cars. There are two chargers on the rooftop car park and are free for users. Instructions have also been placed by the chargers to help drivers charge up their cars easily. As well as Darwen Rooftop Car Park, the 22kW AC chargers can also be found in Feilden Street Multi Storey car park. Further sites within the Borough are earmarked for introduction in phase two and include Brown Street Car Park, Blackburn – four sockets, Varley Street Car Park, Weir Street Car Park, Blackburn – two sockets, and Blackburn Cinema Car Park (former Waves Site). Blackburn with Darwen Borough Council is currently working with Swarco UK Limited, one of the UK’s largest suppliers of EV charging infrastructure under the “eVolt” brand, to install charging equipment right across the Borough. This is to support the growing population of plug-in cars in the area. There are currently over 100 in the borough and over 1,000 in surrounding areas. 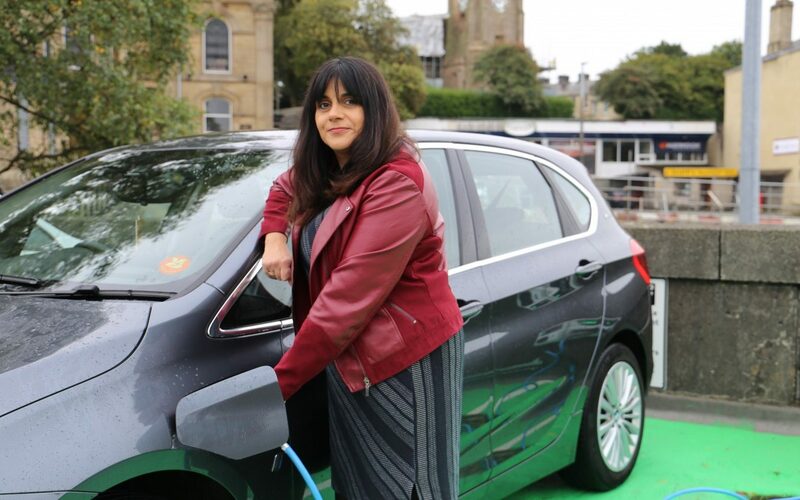 Jennifer Cameron, from Darwen, has an electric car and said she was thrilled that the chargers had been installed at the market car park.